After a failed suicide attempt, an unhappy architect tries to adjust to the world around him. Return of the Prodigal Son is a film directed by Evald Schorm, co-written with Sergej Machonin. 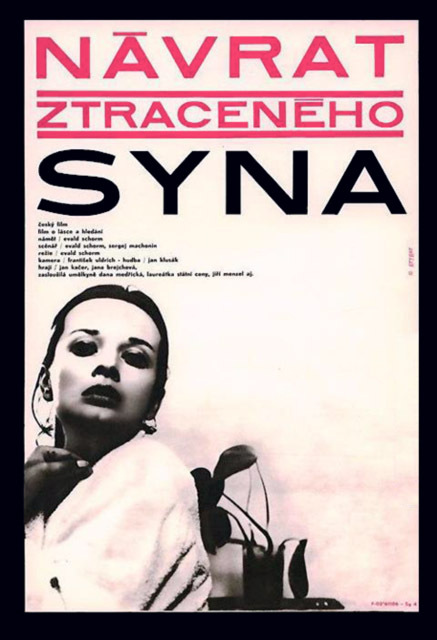 It was the second feature film from the politically outspoken Czechoslovak New Wave filmmaker, and was awarded a Special Mention at the 1967 Locarno Film Festival. 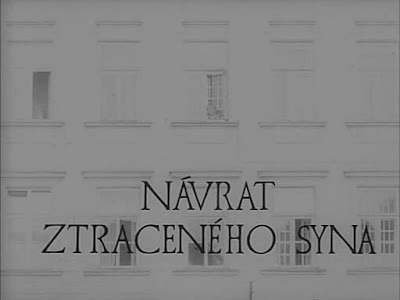 The film has recently been made available in Criterion's Pearls of the Czech New Wave box set. 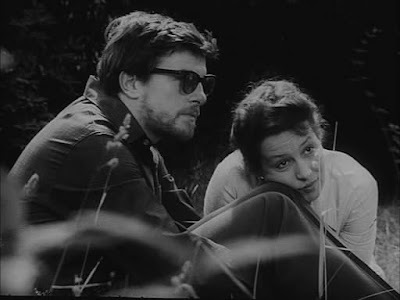 Unlike his fellow FAMU graduates who tended to favor visually creative, fantastic, and comedic elements in their films, Evald Schorm seemed to be concerned with the more realistic side of filmmaking; directly exploring philosophical, existential, and moral issues with his lens. 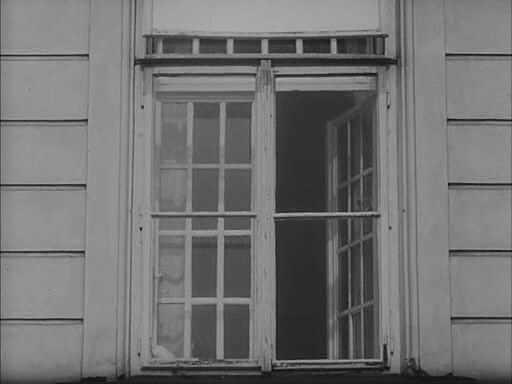 In this film, Schorm tells the story of an unhappy young architect named Jan (Jan Kacer), who attempts suicide and struggles to cope with the world around him. The film begins with Jan being admitted into an asylum where what he discovers about himself and the world in general leave him even more confused and distraught with life. It's a gloomy representation of life and society told through Jan's various relationships. 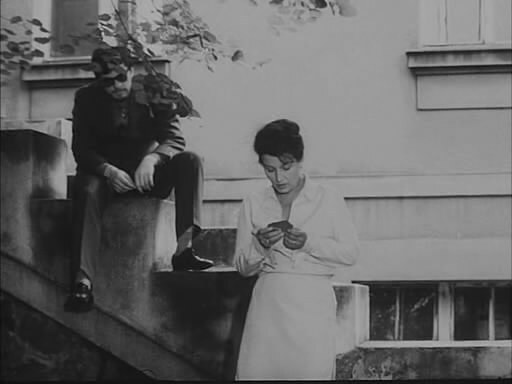 With his unfaithful and equally unhappy wife Jana (Jana Brejchová), his young child, and his parents-in-law; the supportive doctor (Milan Morávek) who ultimately can offer nothing but cursory advice, the doctor's lonely and randy wife Olga (Dana Medrická), his roommate and somewhat brother-in-arms Zdenek (Jirí Kilián), and various other random people he encounters during his multiple stays and leaves (official and unofficial) from the hospital. All of which only serve to further elevate his sense of helpless alienation. Though it's message is not entirely depressing, as in real life, there are plenty of joyful moments to be found if one is willing to open their eyes and look, and Schorm balances out the despair with a degree of hope. Maybe not so much for his main character, but it's there in equal amounts for the audience to reflect on. The journey may not be the most exhilarating or visually impressive of the New Wave, which probably explains why Schorm is not as well known as his peers, but the emotions and themes dealt with are remarkably universal and strikingly genuine. I've said it before, but I'll say it again, what an amazing time these years were for cinema. I'm glad I didn't have to live through them, but am eternally grateful for what came out of them. I'll try to put my hand on this new Criterion release of the Pearls of the Czech New Wave. I loved Daisies and this one looks excellent as well. Great review BT. HOW remarkable was this country in this time for film? Literature as well of course. 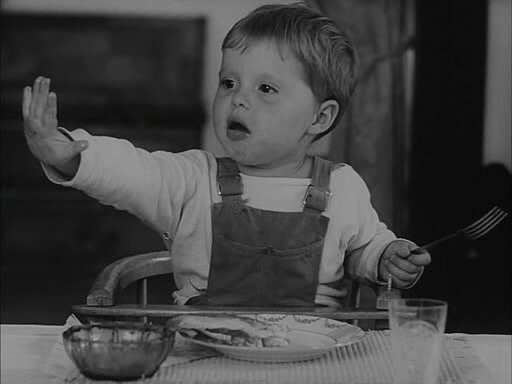 I love that there were diverse elements at play so that a film like this can get made just as The Cremator was being made, Daisies and Closely Watched Trains.... all completely different, yet incredibly powerful and important. Mmm this feels like my kind of gem. I'm already looking forward to it. Hooked from the summary onward, it just feels like it'll be good enough to keep me into it all the way through. Yeah I highly recommend picking it up. It's it's almost worth it for Daisies alone. Totally, something extra special was occurring in Czechoslovakia, that to this day remains largely undiscovered. Hopefully less so with our help. But of course the great things were not limited to this country during that time. Around the world all the new waves were breaking new ground for cinema too. Cool. 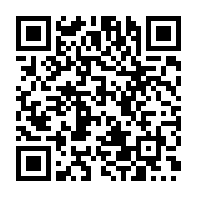 Would love to hear your remarks if you do get a chance to view it.